With the solvent resistance option and the additional dispersion unit BT-800N, measurements can be performed in all common solvents on the Bettersizer S3 Plus. The reduced bath volume compared to the standard dispersing unit enables economical use of solvents, the modular design of the measuring system and the self-sufficient operation of the dispersing unit BT-800N guarantees a quick and easy exchange of the dispersing modules without inconvenient cleaning or further modifications to hardware and software. Analogous to the standard dispersion, a visible sample preparation by stirring and ultrasonic is possible. 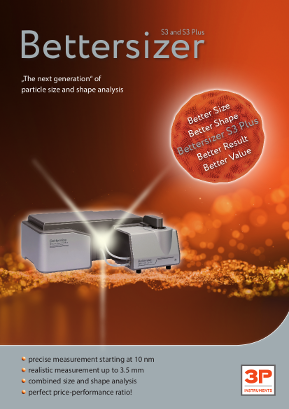 The external small-volume cell is ideally suitable for reproducible particle size measurement in polar and non-polar solvents. Due to the small amount of liquid, solvent consumption is low. 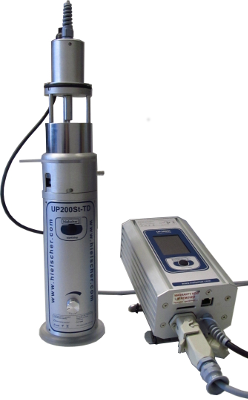 The effective and controllable ultrasonic irradiation enables the measurement of systems that are difficult to disperse or tend to reagglomeration. Cleaning and changing samples or solvents is very easy thanks to the quick release system. The sample feed to the Bettersizer S3 Plus is carried out via a solvent-resistant hose and is manually controlled.